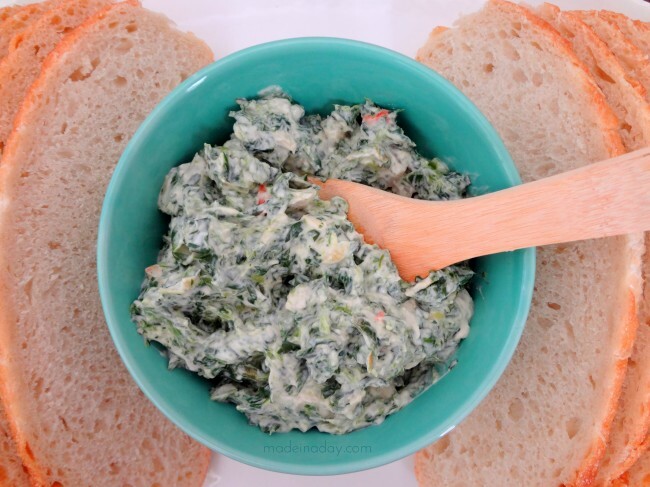 Today’s recipe is an oldie in our family, good ole Spinach Dip by Knorr!! This recipe was shared with me by a dear friend of mine years ago, it’s hard to believe it’s from a package. We love it and it has earned a spot on the table for all football party occasions. I love the Knorr version because it is just so zesty and tasty, plus simple to make. Here’s it is! 1 12 oz package frozen chopped spinach cooked cooled and pressed drained thoroughly. Fold together all of the above ingredients in a large bowl. Cover and chill for 2+ hours so the Knorr Vegtable Recipe mix will soften and blend with the ingredients. I serve with round sliced Italian bread or Hawaiian Bread bowl and rolls. 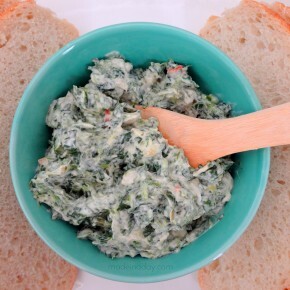 For a yummy gooier version, you could also add 1 cup of your favorite cheese and bake at 350 degrees for 8-10 minutes. 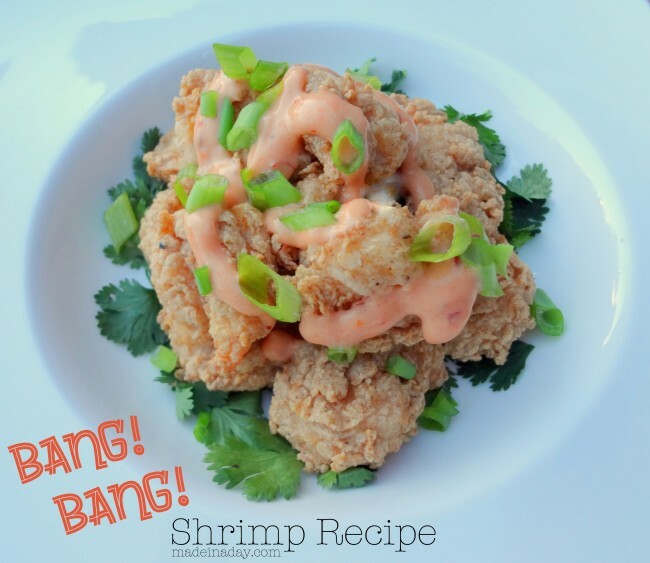 Check out more of my favorite tailgating recipes! Thank you for this recipe. 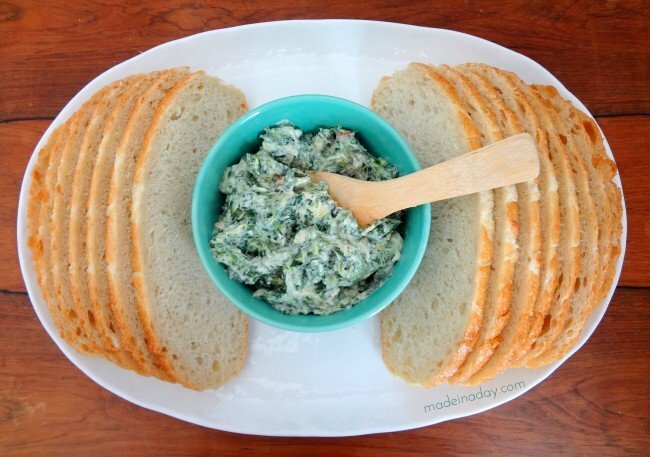 I love a good spinach dip, and this looks delicious and easy! (Both high on my criteria for making food.) Thanks for the post.